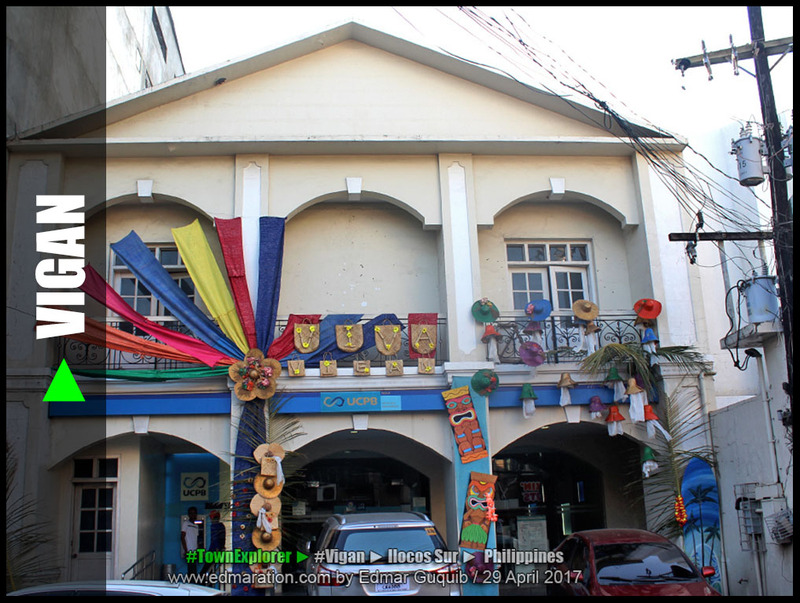 [VIGAN] ► I live in a city that's so rich in culture that we have to decorate our building façades with our traditional loomwoven fabric called Abel just to have an outlet of expression of our overflowing love for our culture. ◾ #TownExplorer #Vigan #IlocosSur #Ilocos #Luzon #Philippines #SouthEastAsia #Asia / #AbelIloko #Culture #Heritage #BinatbatanFestival #Travel #Adventure #Adventurer #Traveler #TravelGram #InstaTravel #Ilocano #IlocanoIGers #IGersIlocos #ChoosePhilippines #Blogger #TravelBlogger #Edmaration #VisitPH #VisitPhilippines . 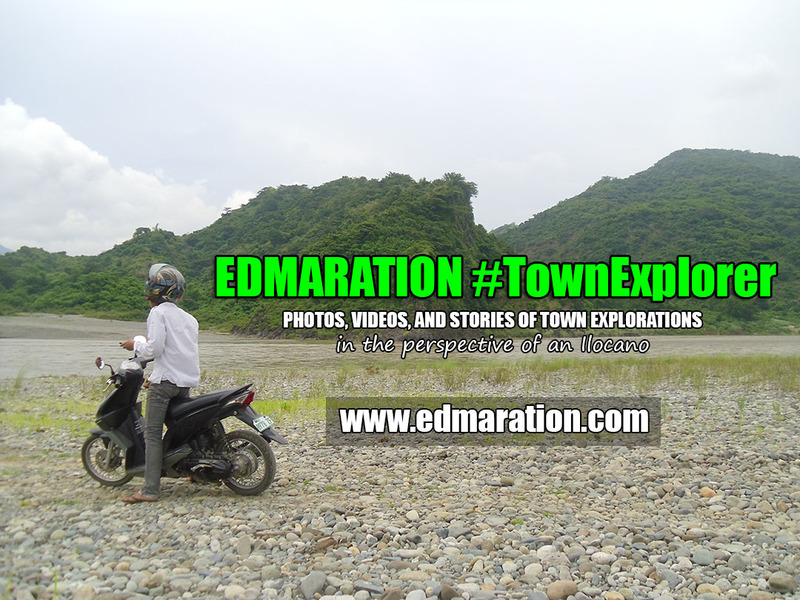 More photos, videos and stories of town explorations at www.edmaration.com. In Vigan, the abel Iloko (locally made traditional woven fabric) is not just for clothes, blankets, table covers and Binatbatan Festival costumes. It's also for building façade decoration. I live in a city that thrives in the richness of its culture and heritage—overflowing, overwhelming, deeply-rooted, deeply-founded. On how our ancestors birthed a culture that's so rich is like a magic—now a reality for us. 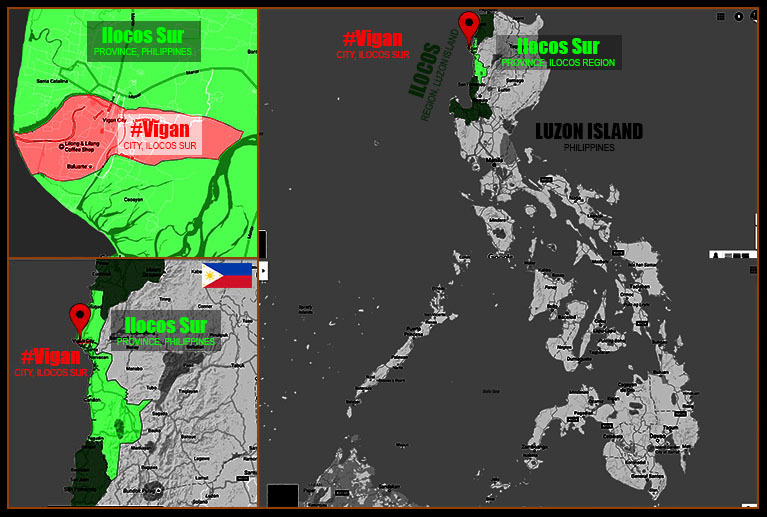 Our ancestors created a civilization for them, now a great heritage of the present Ilocanos. 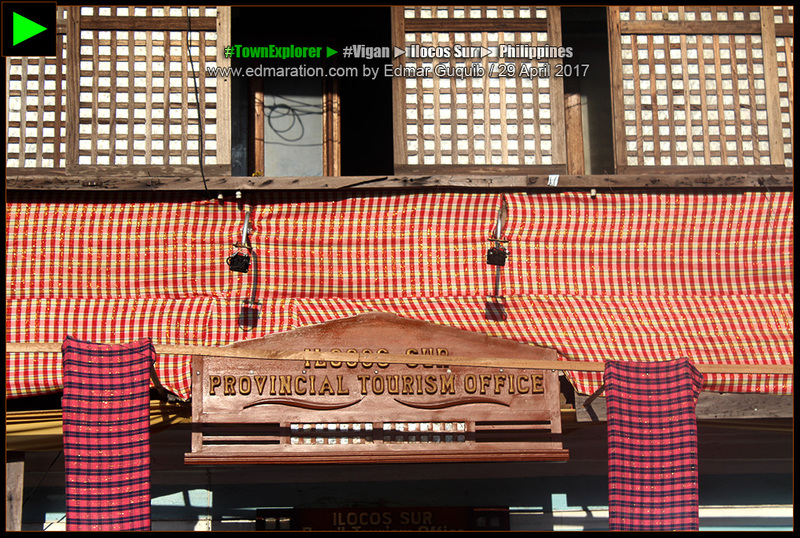 [VIGAN] ► THE PROVINCIAL TOURISM OFFICE OF ILOCOS SUR DECORATED THEIR OFFICE WITH THESE ABEL FABRIC. 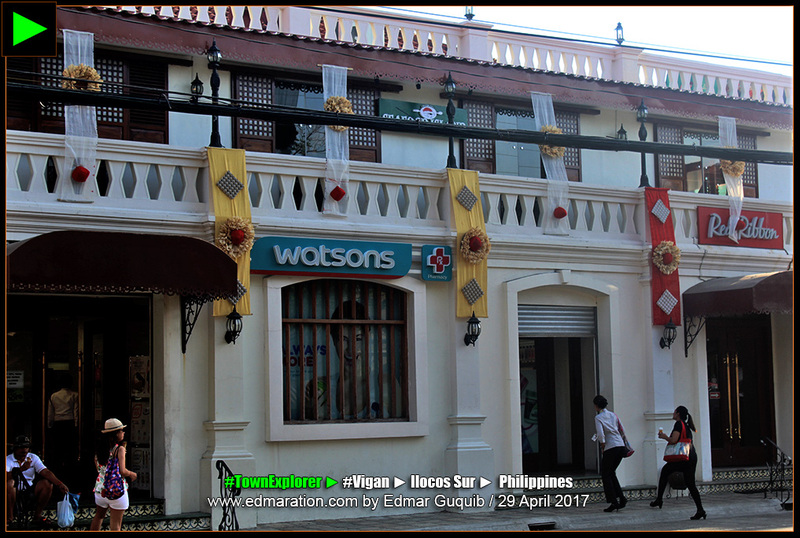 Every year, the Heritage City of Vigan has a Binatbatan Festival that primarily showcases the abel Iloko fabric. The festival features diverse Bigueño arts and culture but the abel fabric is the superstar. 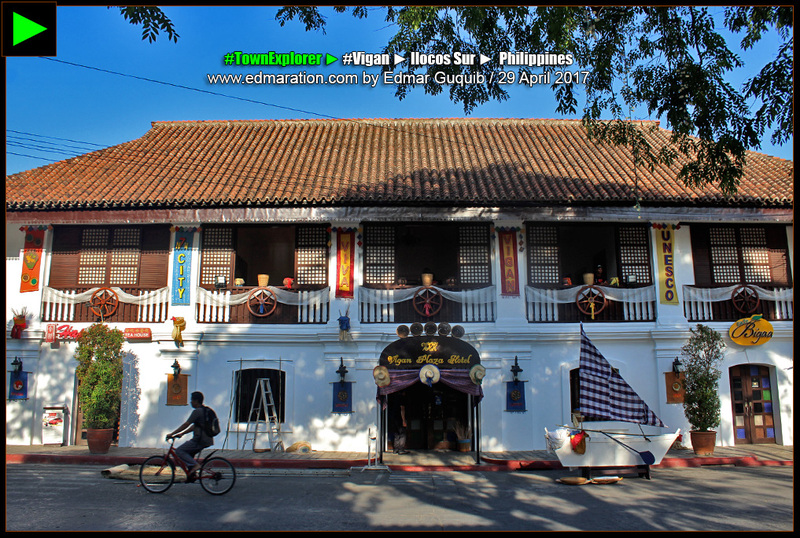 The façades of buildings and ancestral houses in Vigan are also decorated with abel during this festival. It's a testament that the Bigueño culture is so rich that we have to look for alternative outlets to express and unleash the overflowing love for our culture that we have safeguarded in our hearts, sealed with passion, enforced by community awareness. When we could no longer contain the great love in our hearts enforced by our beautiful culture, it bursts with meaningful colors, songs, dances, literary pieces, performing arts, fashion and creativity. When that happens, the people are happy. 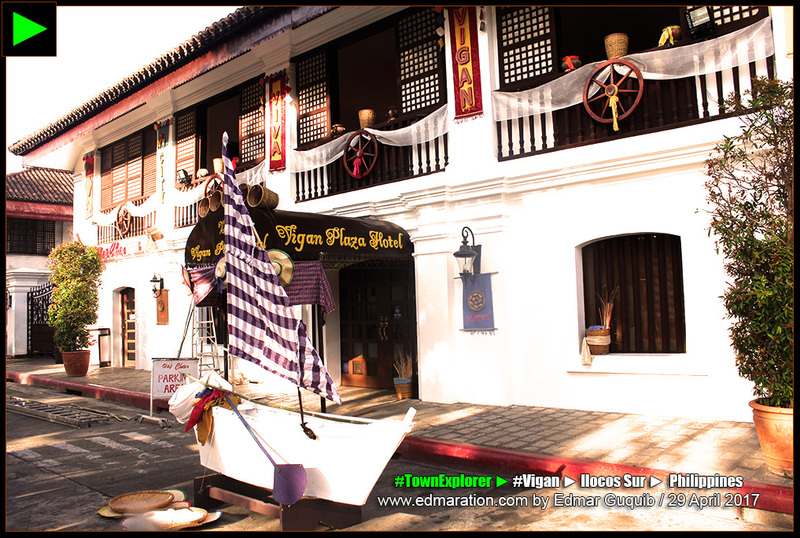 [VIGAN] ► THE VIGAN PLAZA HOTEL IS A CONSISTENT PARTICIPANT FOR THIS ABEL HOUSE DECOR EVENT. On April 29, 2017, I walked around the city center to witness the early birds for this abel decoration event. Some buildings have already finished the decoration, some were still decorating, some haven't started yet. Among the early birds were the UCPB, Vigan Plaza Hotel, Plaza Maestro Convention Center Building (formerly CAP building), EastWest Bank and the Ilocos Sur Tourism Office. During my walk, the following were still finishing their decorations: BDO - Quezon Avenue Branch, Dunkin' Donuts and Mercury Drug. Please see my video blog above under YouTube tab to watch the other buildings not posted here. Later in the first few days of May, there were many participants more than I expected. Plaza Maestro Convention Center Building was the first building I visited for this documentation. Abel fabric with floral design is for the Plaza Maestro Convention Center (formerly CAP Building). 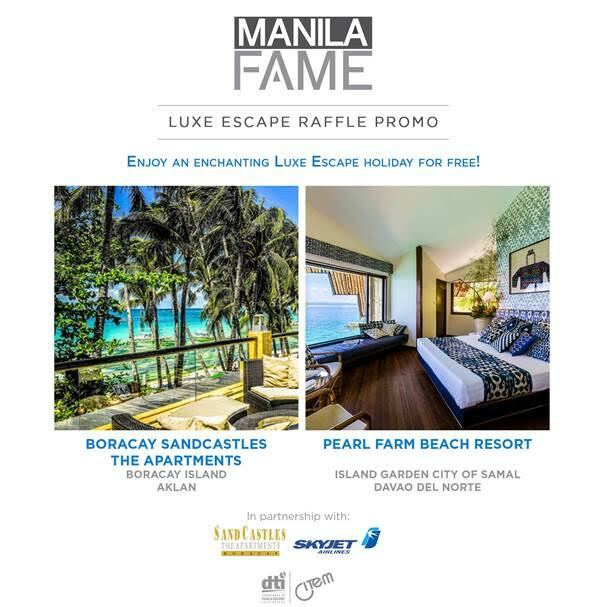 Vigan Plaza Hotel is a consistent participant of this abel house decor event. 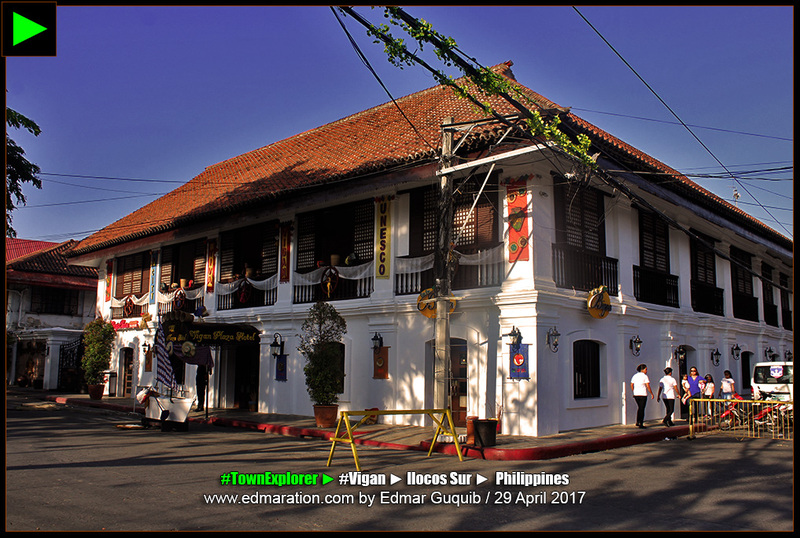 The Vigan Plaza Hotel is one of the early birds to finish this task. 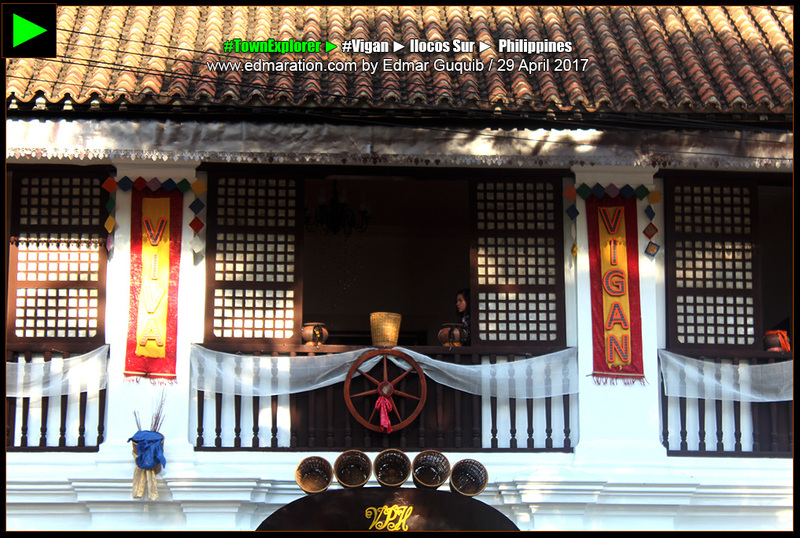 Vigan Plaza Hotel's huge windows were decorated by abel fabric. 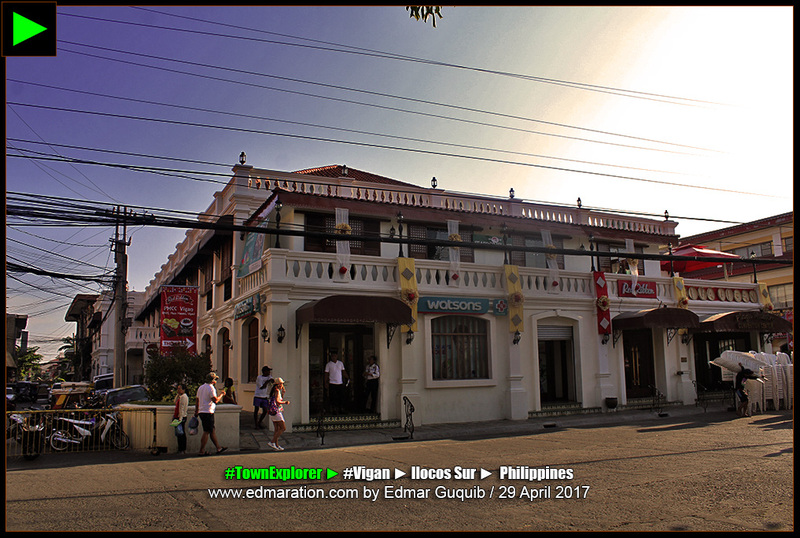 The Vigan Plaza Hotel is a consistent contender. Burnay and empanada plates served as designs for the abel fabric. 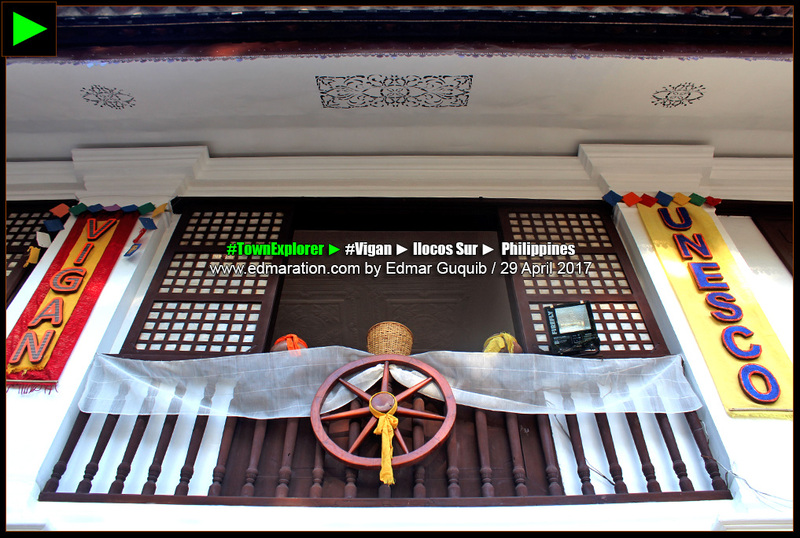 The Vigan spirit of safeguarding and displaying our heritage is alive until now. The evidence could be seen 7 days a week, 365 days a year. 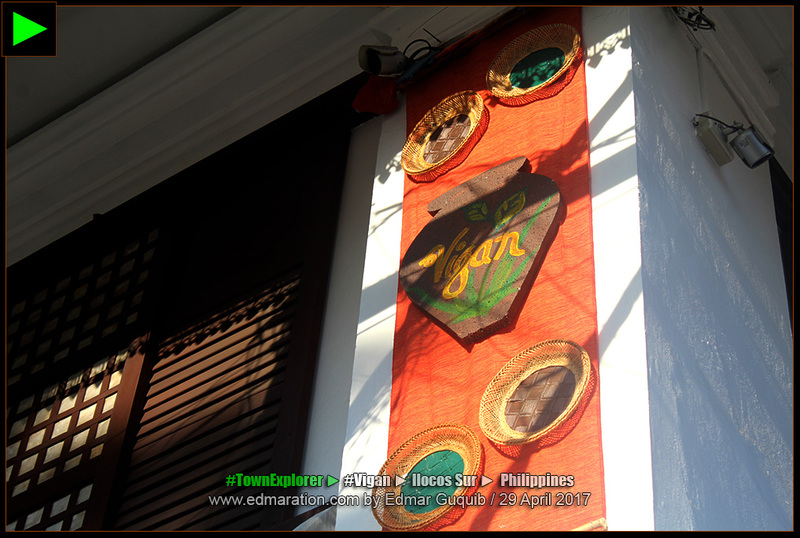 The abel fabric decorations are colors that define the ingenuity of the Ilocanos. Their presence are the little things that once shaped (and continue to shape) our culture. Their absence would not complete our identity as present-day Bigueños. It is exposed to sun, air, rain and other elements but I tell you, Abel Iloko fabric is very durable. This time, the ancestral houses can not run from this fever. 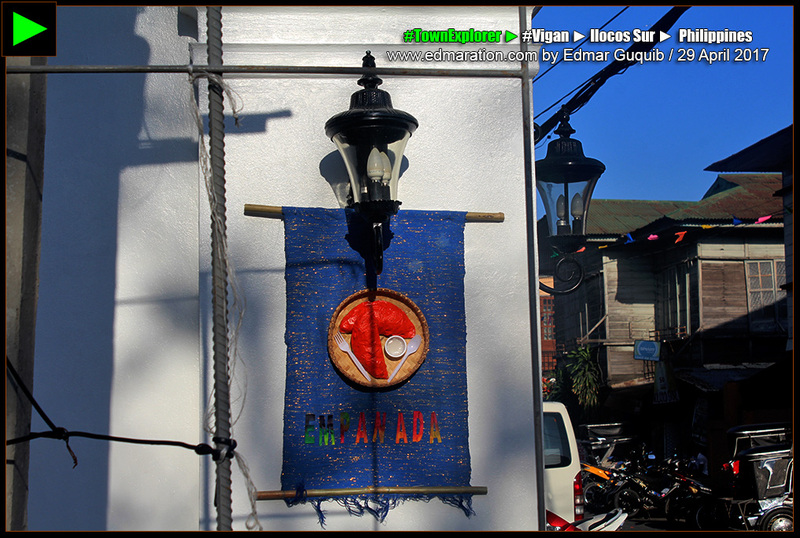 These houses need to be a medium of showing to the world the Bigueños' love for their city. This post was filed under the category "Customs and Traditions" See more posts related to this below.